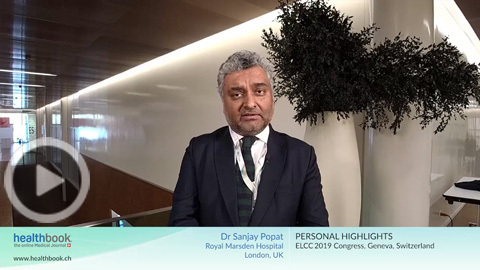 At ELCC 2019, Prof. Mok presented the final analysis of the phase III KEYNOTE-042 trial. 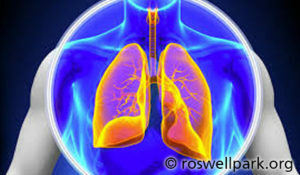 In this study, a total of 1,274 patients with untreated locally advanced or metastatic non-small cell lung cancer (NSCLC) without EGFR/ALK alterations were randomised 1:1 to receive either 200 mg pembrolizumab every 3 weeks for up to 35 cycles or a chemotherapy regimen consisting of carboplatin (AUC 5 or 6) plus paclitaxel (200 mg/m2) or carboplatin (AUC 5 or 6) plus pemetrexed (500 mg/m2) every 3 weeks for up to 6 cycles. Reference: Mok et al. 2019. 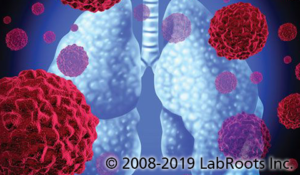 Final analysis of the phase III KEYNOTE-042 study: Pembrolizumab (Pembro) versus platinum-based chemotherapy (Chemo) as first-line therapy for patients (Pts) with PD-L1–positive locally advanced/metastatic NSCLC. Oral presentation presented at: ELCC 2019 Congress; 10–13 April; Geneva, Switzerland. 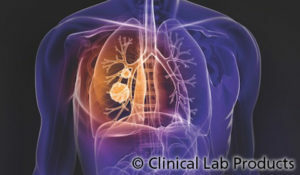 The primary analysis of the MYSTIC trial (N=1,118) showed that first-line immunotherapy consisting of durvalumab or the combination of durvalumab plus tremelimumab did not improve overall survival (OS) in unselected patients with metastatic non-small cell lung cancer (NSCLC). Reference: Reinmuth et al. 2019. Effect of post-study immunotherapy (IO) on overall survival (OS) outcome in patients with metastatic (m) NSCLC treated with first-line durvalumab (D) vs chemotherapy (CT) in the phase III MYSTIC study. Oral presentation presented at: ELCC 2019 Congress; 10–13 April; Geneva, Switzerland. The double-blind, phase III CheckMate 451 study was designed to determine the clinical impact of the combination of nivolumab plus ipilimumab or single agent nivolumab versus placebo as maintenance therapy after first-line platinum-based chemotherapy. Reference: Owonikoko et al. 2019. Nivolumab (nivo) plus ipilimumab (ipi), nivo, or placebo (pbo) as maintenance therapy in patients (pts) with extensive disease small cell lung cancer (ED-SCLC) after first-line (1L) platinum-based chemotherapy (chemo): Results from the double-blind, randomized phase III CheckMate 451 study. Oral presentation presented at: ELCC 2019 Congress; 10–13 April; Geneva, Switzerland. 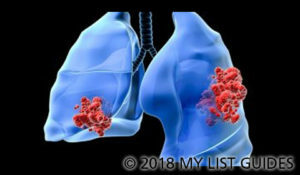 In this phase IIIB study (N=479), patients with advanced non-small cell lung cancer (NSCLC) harbouring EGFR mutations and with no previous treatment with EGFR tyrosine kinase inhibitors or pre-treated with chemotherapy, received a starting dose of 40 mg daily afatinib with permitted dose reduction to a minimum of 20 mg/day for a median time of 359 days. Reference: Passaro et al. 2019. 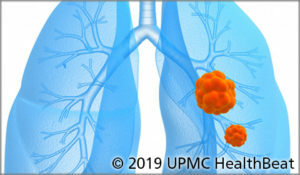 Afatinib in EGFR TKI-naïve patients (pts) with locally advanced/metastatic NSCLC harbouring EGFR mutations: An interim analysis of a phase IIIB trial. Oral presentation presented at: ELCC 2019 Congress; 10–13 April; Geneva, Switzerland. 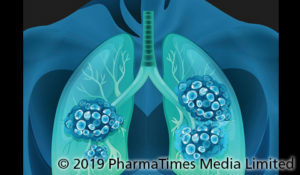 Results from the phase III PACIFIC study (N=713) demonstrated the clinical benefit of durvalumab in patients with stage III non-small cell lung cancer (NSCLC) who did not have disease progression after platinum-based concurrent chemoradiotherapy. 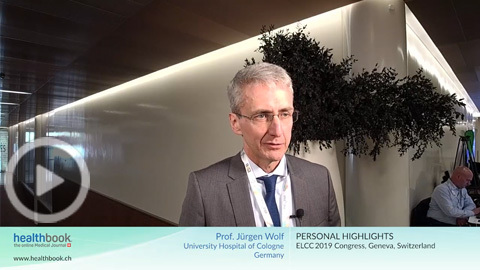 At ELCC 2019, Dr Garassino presented a retrospective analysis of this study aimed at determining the impact of PD-L1 expression on patient-reported outcomes (PROs). Reference: Garassino et al. 2019. 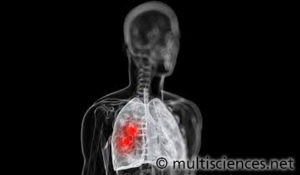 Patient-reported outcomes (PROs) with durvalumab by PD-L1 expression in unresectable, stage III NSCLC (PACIFIC). Oral presentation presented at: ELCC 2019 Congress; 10–13 April; Geneva, Switzerland. 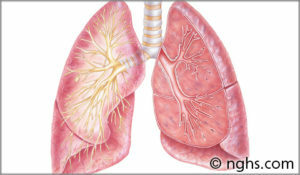 Nintedanib is an anti-angiogenic therapy that has been approved in combination with docetaxel for the treatment of locally advanced or metastatic NSCLC patients after first-line chemotherapy. Whether such a regimen is beneficial following treatment with immune checkpoint inhibitors remains unclear. Reference: Grohe et al. 2019. 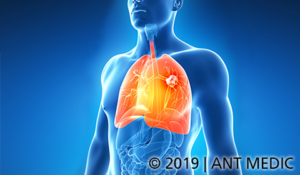 Efficacy and safety of nintedanib + docetaxel in lung adenocarcinoma patients (pts) following treatment with immune checkpoint inhibitors (ICIs): First results of the ongoing non-interventional study (NIS) VARGADO. Oral presentation presented at: ELCC 2019 Congress; 10–13 April; Geneva, Switzerland. Results from this real-world study (N=102) revealed that both, the presence of anaplastic lymphoma kinase (ALK) rearrangements and high PD-L1 expression, represent potential biomarkers of response to maintenance therapy with pemetrexed in advanced non-squamous NSCLC patients. Reference: Qin et al. 2019. PD-L1 expression affect the efficacy of pemetrexed maintenance therapy in real-world patients with advanced non-squamous NSCLC. Oral presentation presented at: ELCC 2019 Congress; 10–13 April; Geneva, Switzerland. In this phase III study (N=1,202), patients were randomised 1:1:1 to arm A (atezolizumab, carboplatin and paclitaxel), arm B (atezolizumab, carboplatin, paclitaxel and bevacizumab) and arm C (carboplatin, paclitaxel and bevacizumab). Treatment was applied every 3 weeks for up to 4−6 cycles followed by maintenance therapy with atezolizumab, bevacizumab or both. Reference: Reck et al. 2019. IMpower150: An exploratory analysis of efficacy outcomes in patients with EGFR mutations. Oral presentation presented at: ELCC 2019 Congress; 10–13 April; Geneva, Switzerland. In the open-label, multicentre, phase III ALTA-1L trial, a total of 275 patients with anaplastic lymphoma kinase (ALK)-positive non-small cell lung cancer (NSCLC) were randomised 1:1 to receive either 180 mg brigatinib once a day with a 7-day lead-in at 90 mg or 250 mg crizotinib twice a day. Reference: Califano et al. 2018. Brigatinib (BRG) vs crizotinib (CRZ) in the phase III ALTA-1L trial. Oral presentation presented at: ELCC 2019 Congress; 10–13 April; Geneva, Switzerland. In this study, 22 patients with leptomeningeal metastases (LM) harbouring EGFR T790M mutation and previously treated with EGFR tyrosine kinase inhibitors, received 80 mg osimertinib once daily. Reference: Ahn et al. 2019. 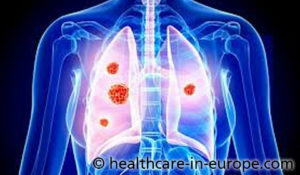 Osimertinib for patients (pts) with leptomeningeal metastases (LM) associated with EGFRm advanced NSCLC: The AURA LM study.Oral presentation presented at: ELCC 2019 Congress; 10–13 April; Geneva, Switzerland. healthbook is an independent online medical journal and source of evidence-based medical knowledge that provides state-of-the-art medical information to healthcare professionals through conference coverage and other educational programmes.